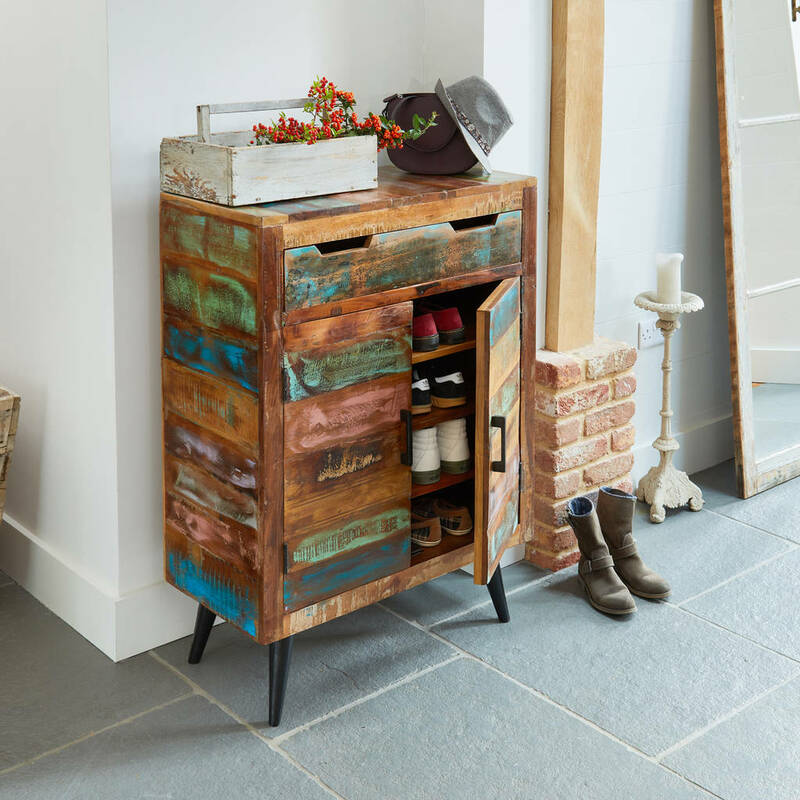 Fill your home with vibrant colour and rustic character, with our handy Dunes Shoe Storage Cupboard. Made from reclaimed wood salvaged from places such as Gujarat, Maharashtra and Rajasthan Southern India. The wood is finished with a resilient satin lacquer which is hardwearing yet emphasises the beautiful colour and character in the timber.